Wanting to try something new? Something that can instantly add pizazz to your look? The neck scarf is what you need. Sure this outfit is cute on it's own, but the neck scarf takes it to a higher level. And it's a trend/accessory that anyone can pull off. Seriously, don't be scared of it. If you don't want to go bold, try a simple solid color or stripe. But I love the color a bright scarf can add!! Whichever pattern you choose, you can wrap it once with a simple knot and let the tails hang down (like I did) or wrap it a few times for more of a choker look. Now for the rest of the look. This one shoulder top is amazing. Super comfy and soft. It does run big, so go down 1 size when ordering. And you've probably seen mustard yellow everywhere! It's one hot color this Spring/Summer. These shorts are a good length. The belt is a little tricky to "tie" and I'm not sure I did it best, but you can always go without the belt or add another. This look is adorable! 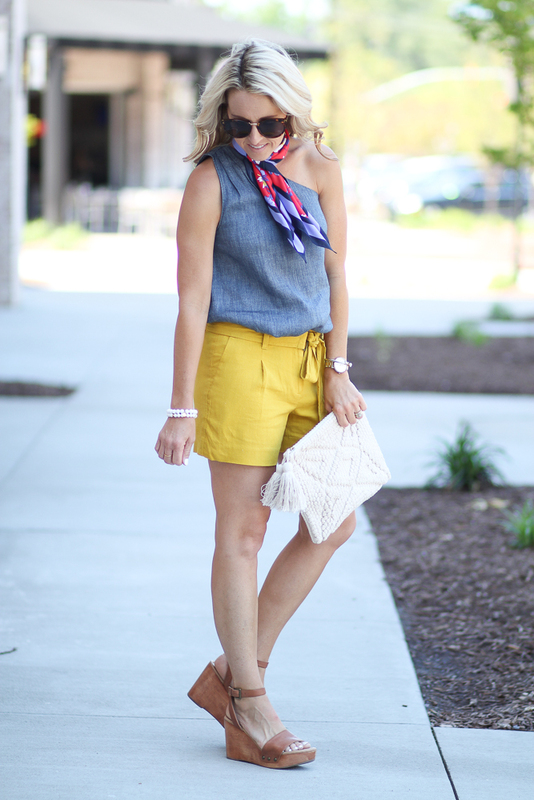 I love the scarf but I think the shorts are my favorite! Such a pretty color AND an inseam over 3"! Win! i love all the bright colors in this outfit and the neck scarf is one of my favorite trends! Such a fun, bright, colorful look! 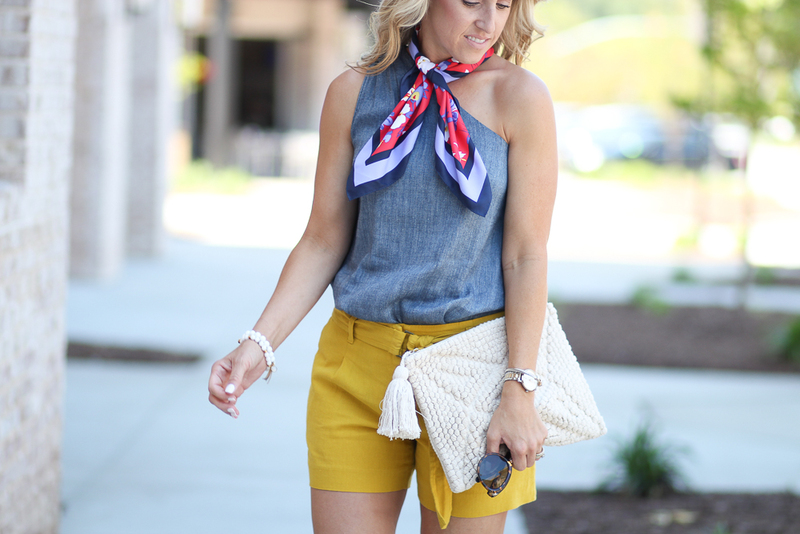 Love the neck scarf! So cute!! 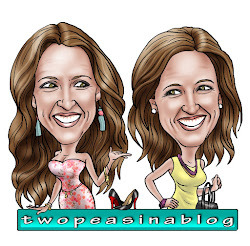 I found you on the Trend Spin Link Up! 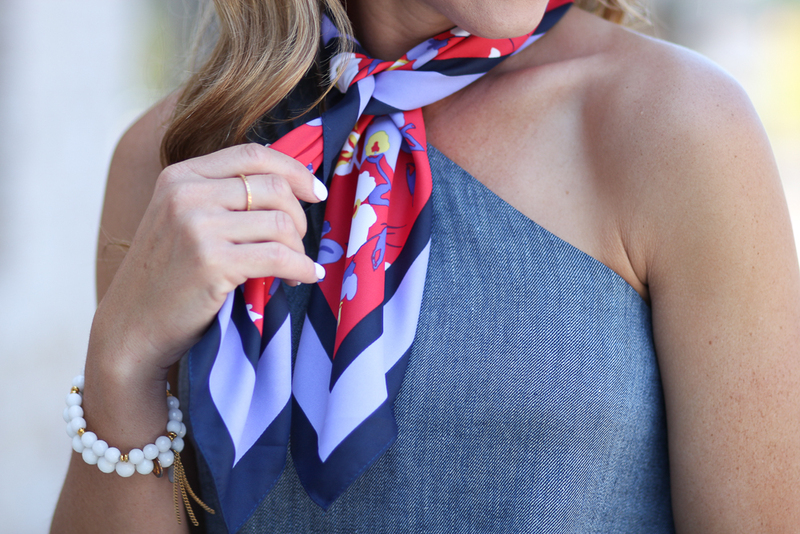 So glad I stopped by your blog :) I chose a silk scarf for today's link up as well! So cute! 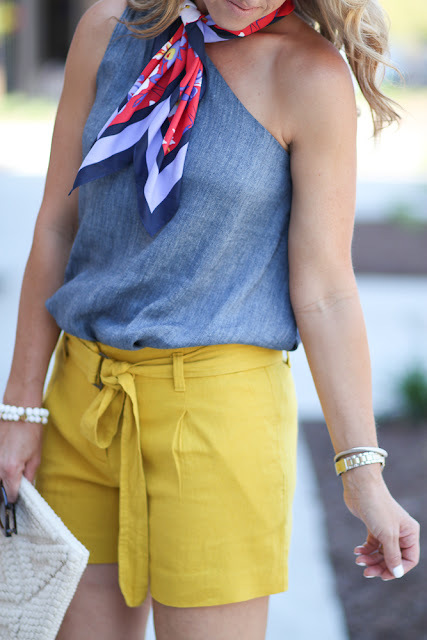 I'm a huge fan of the neck scarf trend, too, and I love it with the one shoulder top! You styled a perfect summer look. Loft has the best shorts and so many cute tops right now. Love this outfit. Such a great clutch and scarf. And waffles are yummy! I love this look and the neck scarf.